This is the final part of beautiful Saturday! We drove into Two Harbors to get some supplies and check out their lighthouses. Wasn't really a lot to see but there were 2 ships in port loading or unloading stuff and the top photos are all from that area. The lighthouse on the top right is also a B&B. 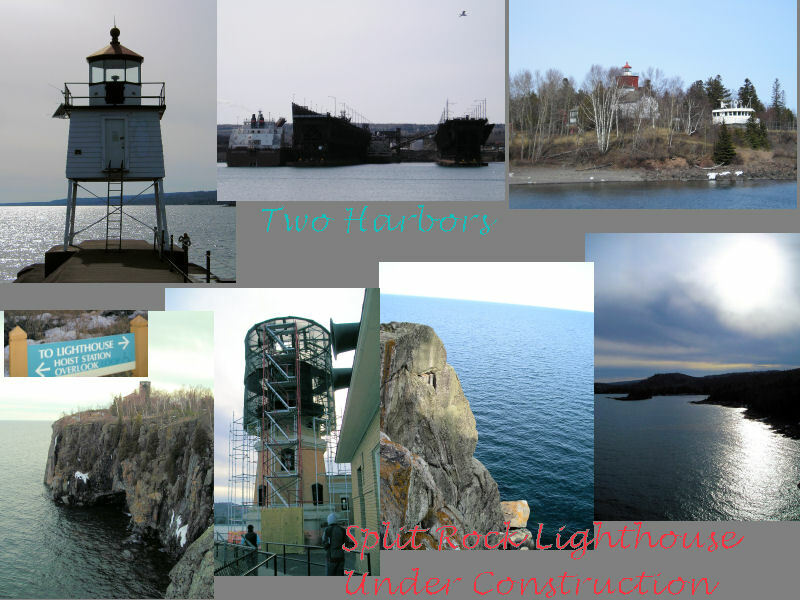 The other pictures are from Split Rock Lighthouse State Park(note the 2 different links). Sadly the lighthouse is under going construction restoration during the winter months and should be completed in the middle of May. It was a weird set of scaffolding that went around it. There were some more breathtaking views from the Lighthouse so it was still worth stopping by and seeing.